Will Make Beats For Food : Apt. 5B Podcast Hosted by Kil: The Top 10 Dopest MC's EVER! Apt. 5B Podcast Hosted by Kil: The Top 10 Dopest MC's EVER! For this week's ep of my podcast apt. 5B I'm chopping it up with Porsha, Yaw, Nick and Vince on who are our top 10 dopest MC's EVER! 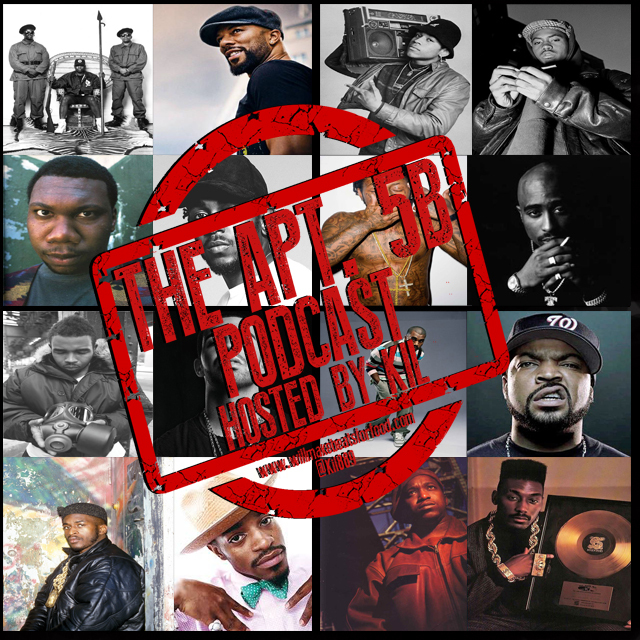 We're talking about our top 3 attributes of a MC, our fave albums, verses, songs and why we picked each one and why they made the cut over 100's of other MC's. We also get into a debate on who should be the logo for hip hop, why do Jay fans always make up excuses for this dude and does a win for Jay Z REALLY equal a win for the culture? ANOTHER dope ep on tap ya'll and don't forget to subscribe to our You Tube and Mixcloud channels!